I love a good story, don’t you? Author Stephen King says that there are books full of great writing that don’t have very good stories. I hope it is not blasphemy to say that the Torah is just the opposite: not always such great writing but the best of all stories. Let me suggest that the writing style of the Torah would not necessarily have passed muster with my seventh grade English teacher. The Torah is filled with poor editing, run on sentences, lack of transitions and confusing noun-verb match-ups. Throughout the ages, rabbis have gleaned meaning from repetitions, gaps, misplaced narrative and stylistic flaws and shared it all the commentaries and midrashim (stories from between the lines) that Jews cherish. But good stories? The Torah is filled with good stories. Good stories are the ones that we remember. We remember them all our lives. We know the ending, but we still want to hear the story again and again. The Jewish people know that Adam and Eve are going to eat that fruit. Isaac is almost going to be sacrificed, but God stops his father at the last moment. Joseph is going to reveal himself to his brothers in Egypt after he toys with them a bit. 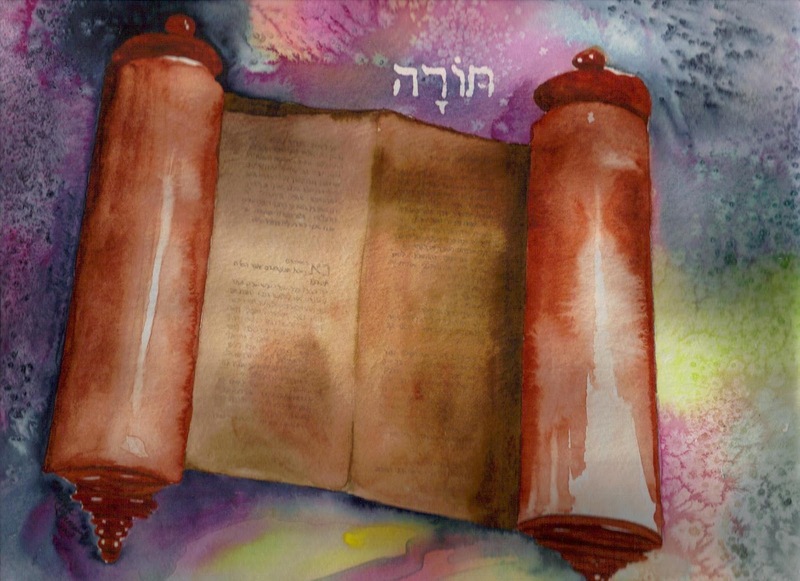 We love to hear these stories again and again; we’ve been reading and reading and then re-rolling our Torah for centuries. The Torah is the word of God, but it would not endure without good stories. This week we are poised between two of the greatest stories of our Torah. 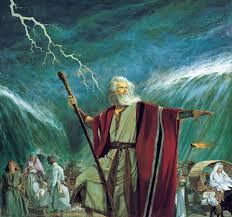 Last week, God split the sea for the Israelites to pass through and this week we receive Torah at Sinai. I thrilled last Shabbat when we stood together in synagogue to chant the Song of the Sea, and I am excited to stand again this week to hear the Ten Commandments. My love for Torah is something that I don’t often question. It’s kind of like breathing. Last week, however, at Conversations with Clergy in the Community at Adele Garber’s home in Nyack, one of our congregants challenged my easy acceptance of the ultimate worth of Torah. He asked what Rabbi Scheff and I “get out of” studying Torah. Truthfully, we had to stop and think about it. Both of us answered in terms of the stories of the Torah, and our answers were like two sides of the same coin. Rabbi Scheff said that in the Torah we find the stories of our lives. The heroes of our narratives are not saints, not perfect gods. They are real people dealing with real challenges. The lessons of their stories teach us about coming closer to our best selves, to each other and to God. I said that in addition to learning from the real lives of realistic people, the stories of Torah connect us to eternal truths, to an understanding of what God expects of us. In the Great Stories we know who lives, who dies, who finds love, who doesn’t. . . and yet we want to know again. In the Great Stories of our Torah, we have the opportunity to hear not only what we want to know, but what God wants us to know! Join us at the Orangetown Jewish Center to learn from the greatest stories of the Greatest Book ever written. Come on Shabbat morning to learn from a sermon. Study every Thursday in Text and Context or on the second Monday of the month in Women of the Torah. This month, Rabbi Hersh is teaching creation narratives in Thursday evening Conversations with Clergy. Contact Rabbi Scheff or me if you would like a suggestion about which class might be best for you! Meanwhile, I’ll meet you at Sinai!